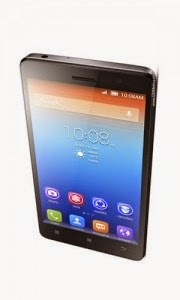 Lenovo S860 has a 5.3-inch display with HD resolution and IPS technology. It uses a Quad-core 1.3 GHz Mediatek MT6582 as the processor, which integrates Mali-400MP2 GPU. 2 GB of RAM makes multitasking peformance good. S860 is equipped with 16 GB of internal storage. There’s an 8 megapixels camera on the back with LED flash. The secondary camera is 1.6 megapixels. The dual SIM Android handset supports HSDPA up to 21 Mbps on one of the two slots. A Lithium-Polyer 4000 mAh inside is non-removable, but with that capacity you can expect longer battery life. Other features include Wi-Fi 802.11 b/g/n, Wi-Fi hotspot, Bluetooth 3.0, microUSB 2.0, GPS with A-GPS.